Poker is a game of personalities sitting at the table by which the cards held are only the instrument to understanding those personalities and having the ability to read your opponent. Every game of chance requires a bit of luck, some more than others. You can play casino games to maximise your odds but the house almost always has a clear advantage (take a look here for guides on how to maximise your odds when playing casino games). Then there are those games that necessitate skill and Poker is no exception. You can play casino games to maximise your odds but the house almost always has a clear advantage. In order to be a good Poker player learning the game and developing your own personal strategy is mandatory to become successful. There is a huge difference in understanding the game and mastering it. Learning what hand beats what is just the beginning and the easy part. 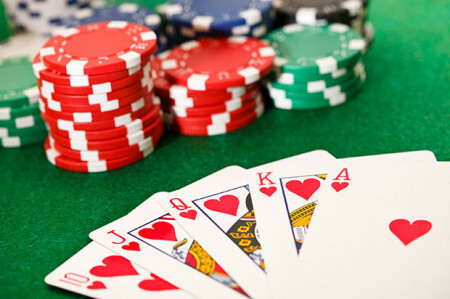 Texas Hold’em has gained much popularity in the last decade but there are many variations of Poker including Caribbean Stud, 5 Card Stud, 7 Card Stud, Omaha and Hi-Lo just to name a few. But there is a common denominator in all Poker variations; strategy. Strategy encompasses a wide range of characteristics including players that are tight aggressive, tight passive, loose aggressive and loose passive. It isn’t necessarily the cards dealt that are important but rather how to play the hand your dealt. There is a talent to playing poker that no other card game quite measures up. The secret of a skilled player is not to reveal your Poker style traits and become predictable. Mixing up your strategy starts and ends with your betting and raising style. 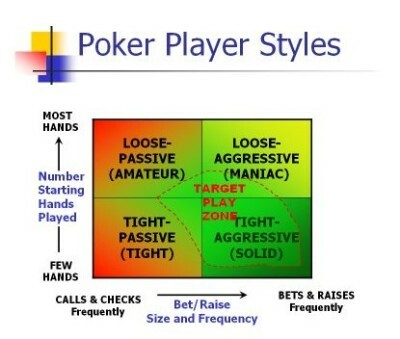 Next equally important is observing your opponents and accessing their poker playing style. Depending on the player, this can be a fairly easy assessment after watching his betting and raising style after a few hands. There are many strategic ways to play and right when you think you’ve figured out the player to your left he throws you a curve ball. That’s when you realize he is a force to reckon with and takes your master skills to outwit him. Playing Poker solely on luck won’t get you very far in making it to the final table. The seasoned Poker player will devour you before you get to the next round pulling out every trick he has up his skilled sleeve. There is a good philosophy to live by in the Kenny Roger’s “You’ve got to know when to hold em, know when to fold em, know when to walk away and know when to run” lyrics. Learning to know when to cut your losses and fold to save your chips stack requires patience to find the right moment to strike and go all-in. When you jump in on the table action and rely totally on lady luck, you’ll soon find out she is nowhere to be found in this tough crowd of skilled card players.